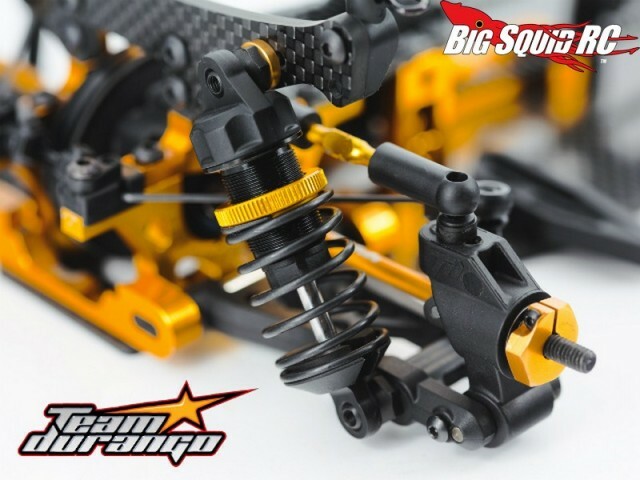 Teaser – Durango DETC410 Touring Car « Big Squid RC – RC Car and Truck News, Reviews, Videos, and More! The crew over at Team Durango have been teasing a high end touring car for several months now. The name of their first ever on-road car is the DETRC410 and they have just released a new teaser image. As you can see from the picture if definitely looks high end, with loads of carbon fiber and distinct gold anodized aluminum parts. We hear the full release isn’t far away, stay tuned for more information as it becomes available. Until then, you can hit up This Link for a bit more information. Click Here for more Durango news on BigSquidRC.